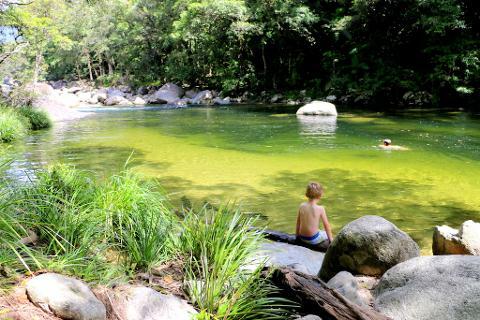 Mossman Gorge is like no other place on Earth. 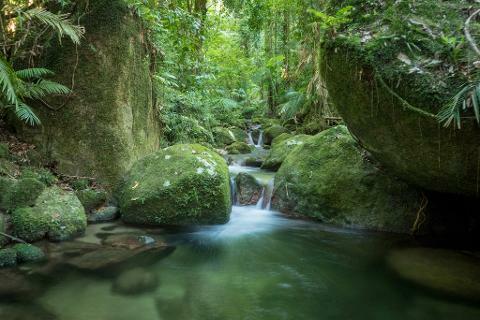 Set within World Heritage-listed Daintree National Park and surrounded by lush green rainforest, the crystal-clear water in the Mossman River is perfect for enjoying a refreshing swim. 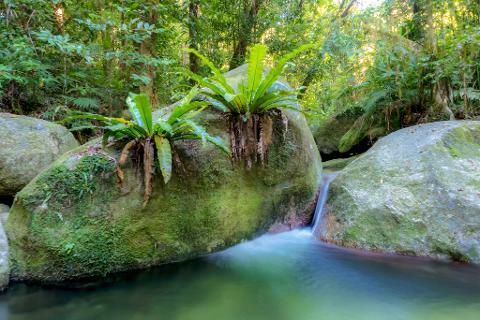 This small group, family friendly tour, provides a great opportunity to experience the wild side of ancient Australia! 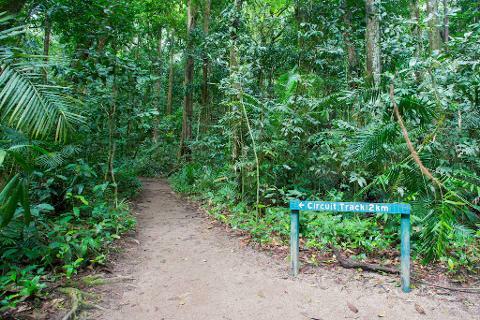 An easy paced walk across elevated boardwalks, suspension bridge and flat dirt tracks, provides access to this breathtaking rainforest. 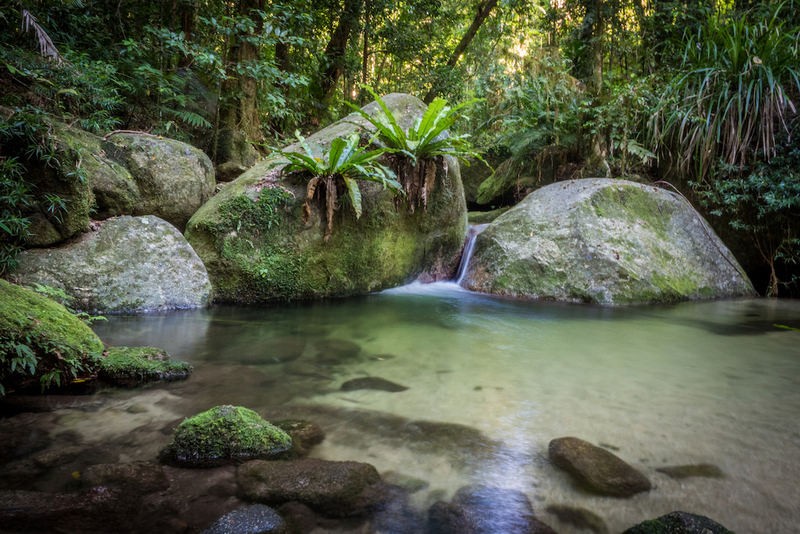 Giant strangler figs tower above as you stroll along the 2 km Rainforest Circuit track, with afternoon tea and optional swim at a secluded waterhole.